“Between Scylla and Charybdis: Cyprus and the Problem of Engineering Political Settlements for Divided Societies” is the topic of the lecture to be presented by Dr Christalla Yakinthou from the University of Birmingham, on Thursday 26 May 2016, as a part of the Greek History and Culture Seminars offered by the Greek Community of Melbourne. Dr Yakinthou will look at the problem(s) of ‘designing’ peace plans for divided societies by thinking through the conflict in Cyprus. She will look not only at the challenges inherent to top-down conflict resolution efforts, but also at the important roles memory, fear, and hope play in building peace over time, and the role of these elements in ending the Cyprus conflict. In the lecture, Dr Yakinthou will look at the extent to which political settlements are not only a case of good ‘engineering’, but also require relationships of mutual trust between communities and their leaders, and between communities and their futures. 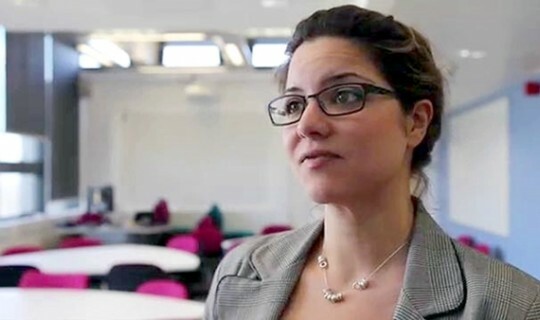 Dr Christalla Yakinthou works in the University of Birmingham’s Political Science and International Studies department, with the Institute for Conflict, Cooperation and Security. She holds a prestigious Birmingham Research Fellowship. Her work focuses on transitional justice, power-sharing, and conflict transformation. She has written, researched, and worked as a practitioner in Cyprus for the last decade. Publications include several pieces on Cyprus, including the book ‘Political Settlements in Divided Societies: Consociationalism and Cyprus’. She has global experience as a transitional justice practitioner and as an academic, and has direct expertise in Cyprus, Lebanon, Kenya, Tunisia, and Bosnia and Herzegovina. Currently she is writing about the relationship between power-sharing and transitional justice in post-conflict contexts, and on the relationships between the international assistance and civil society organisations in post-conflict contexts and associated power discursives. She is the author of several pieces of work in these areas.